The Ayam Cemani, an all-black bird indigenous to Indonesia, is the most sought-after chicken on the market right now, but not for its taste. In fact, no one would dare eat these Sith Lord birds. 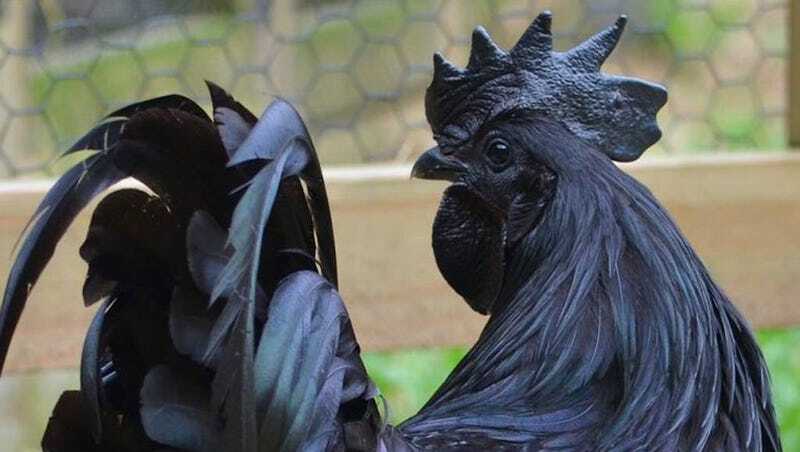 According to Greenfire Farms owner Paul Bradshaw, who breeds Ayam Cemani in Florida, Ayam Cemani is “the ‘it’ chicken right now,” due to its inky aesthetic: its internal organs and muscles are entirely black—which means its heart is, by extension, black. Only its cream-colored eggs and blood are not black, though that would’ve been kinda cool. In addition to being a biological wonder, the Ayam Cemani has long been regarded as a spiritual creature. Centuries ago on the Indonesian Island of Java, the birds were kept by elites or used in rituals, but never eaten; their unique coloring was thought to be a sign of their otherworldliness. If you’re in the market for one of these bad boys, it’ll cost you. Greenfire Farms sells unsexed eggs for $199 a pop. Juvenile males and females are $400 a piece, and they’re already sold out. But hey, it’s a small price to pay for the (authentic) goth lifestyle. 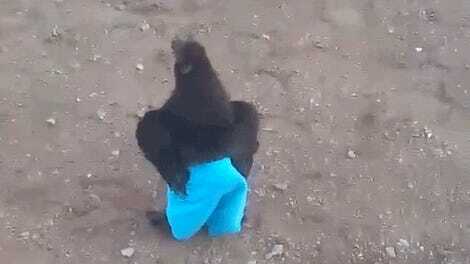 Charlie&apos;s Back At It Again With His Blue Pants! !